Why know dementia early signs and causes? There may be more help for dementia than we think, including vitamins for dementia. Early signs of dementia include confusion, searching for words, forgetting names and faces and recent events, difficulty with tasks that require planning or organization. Scientists are working hard on the causes of dementia and how to improve memory. Brain specialists are now saying that up to half of all seniors with age-related dementia have BOTH Alzheimers symptoms AND stroke symptoms. 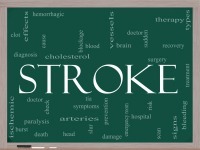 Up until now, have typically diagnosed patients with either a stroke or with Alzheimers. But researchers are now finding that the vast majority of seniors have BOTH stroke symptoms AND Alzheimers symptoms, together. This combination leads to a rapid onset of dementia, according to a report by brain researcher Dr. S. Black given at a Canadian National Stroke Congress. When both these dementia early signs are found in one person, this works against stroke recovery. When people have BOTH of these dementia early signs, as they usually do, this will hasten their decline. Fortunately, you can improve memory loss with exercise, nutrition and brain health supplements. Is Stress One of the Causes of Dementia? Yes. Both stress and strokes are bigger causes of dementia than scientists had thought. Surprisingly, if you have a lot of stress when you are in your 40's -- in middle age -- this can can set you up for dementia later in life. How? Researchers found that in a study of 1,400 middle aged women, those who reported having more stress, were 65% more likely to get dementia in later life. The women who reported being stressed were most likely to get Alzheimers rather than the other types of dementia which includes vascular dementia. Source: Brain, A Journal of Neurology, Lead researcher Lena Johansson, Neuropsychiatric Epidemiology Unit at Gothenburg University in Sweden. Stroke as one of Dementia Early Signs? The vast majority of seniors who have dementia will have a combination of each -- both Alzheimers and stroke together, according to new brain research. Only one third of seniors have ONLY Alzheimers alone, and only 10% of older people have just strokes ALONE. BLOOD CIRCULATION TO THE BRAIN IS KEY! When the brain lacks a healthy flow of blood due to hardened or constricted vessels, it is less able to fight off the damage associated with dementia. 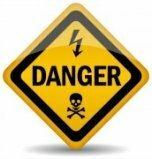 The same risk factors that raise a person’s chances of having a stroke – also raise the risk of dementia. THE CAUSES OF STROKES ARE SIMILAR TO THE CAUSES OF DEMENTIA! 1) high blood pressure 2) current smoking 3) waist-to-hip ratio (abdominal obesity) 4) poor diet 5) physical inactivity 6) blood lipids (fats) 7) diabetes mellitus 8) alcohol intake 9) stress and depression, 10) heart disorders. 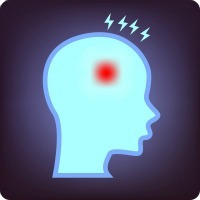 But mini stroke warning signs and mild stroke symptoms are often unrecognized. A brain injury caused by small, “silent” strokes can accelerate memory and learning problems in people who already are developing Alzheimers Disease, but show no symptoms. How is Stress among Causes of Dementia? Stress increases inflammatory molecules in the blood, and this inflammation leads to hardening of the arteries, leading to a heart attack or a stroke. Stress makes the fatty deposits called plaques more likely to burst and cause a heart attack or a stroke. Research is now showing that our stress hormones are actually toxic to neurons and to the connections in the brain. Stress affects the nerves so that they pump out molecules into the blood that raise both heart rate and blood pressure. Mild Cognitive Impairment (MCI) can have many causes according to the research. Many types of dementia can be due to illness, medications and a host of other treatable causes. For instance, some people who go on statin drugs such as Lipitor, Simvastatin, Zocor, experience mild to severe memory loss within weeks and months of starting these medications. Most people do NOT SUSPECT THE MEDICATIONS and neither do their doctors. The only way to test whether the statins are causing memory loss, is to stop them, but this cause of dementia is typically overlooked. Researchers found that doctors deny that cholesterol-lowering statin drugs have serious side effects including memory problems. With mild cognitive impairment, an individual will experience memory loss, and sometimes impaired judgment and speech, but they are usually aware of this decline. These problems usually do not interfere with the normal activities of daily living. People with only mild cognitive impairment can already show changes such as being depressed, anxious, aggressive, depression or emotionally flat. this mild cognitive impairment can be helped with exercise, diet and brain health supplements. A lot can be done with both diet and exercise against dementia early signs, and even reversing symptoms of dementia. One of the most promising treatments, even for people who already show sings of dementia, is regular aerobic exercise. Animal studies have found that exercise can REDUCE the accumulation OF THE ABNORMAL PROTEINS THAT ARE THE HALLMARK of Alzheimers Disease. An Australian study of people who already have memory problems showed that BRISK WALKING FOR 150 MINUTES per week improved their COGNITIVE FUNCTION. Exercise improves the circulation to the brain! EAT FATTY FISH: A study done in Finland showed that the more fatty fish in a senior’s diet, the longer their memories remained sharp. And carbohydrates too. This study was called "FATTY FISH, CARBS and CONFIDENCE". No more need to fear silent strokes! 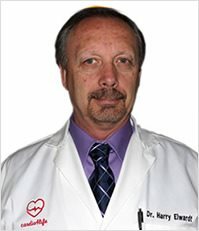 The Nobel Prize in Medicine of 1998 was awarded to three American scientists for discovering that the body uses nitric oxide to make BLOOD VESSELS RELAX, WIDEN, SOFTEN and FUNCTION PROPERLY. This results in a better blood flow so that the brain and heart get more oxygen and nutrition to prevent strokes and heart attacks! 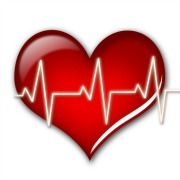 It was found that it is arginine, an amino acid, that helps our bodies create MORE nitric oxide. 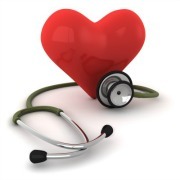 How does Nitric Oxide work? Nitric oxide production decreases with age and also as a result of medical conditions such as heart disease and diabetes. Although arginine is available in our diet, in fish and nuts, the main source for most Americans is in high-fat, high-cholesterol red meat. For anyone wanting to improve their memory, the first step would be to improve nitric oxide by taking a brain health supplement. 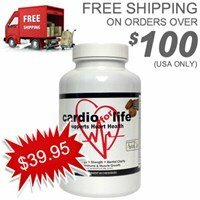 Try Dr. Harry's top selling nitric oxide Heart and Brain Circulation Formula to REDUCE YOUR RISK! This is NOT just arginine BY ITSELF for more nitric oxide! Why? Dr. Harry has added citrulline and antioxidant for a BALANCED and SAFE brain health supplement. Used by Cardiologists, this ENHANCED pro arginine product can help against memory loss and chance of a stroke! ENJOY peace of mind AND disappear dementia early signs! Best protein brain health supplement to make a "good brain better:"
Dementia Early Signs: Dementia vs Alzheimers? Of the causes of dementia, Alzheimer's is the most common cause of dementia -- almost two-thirds of dementia cases. Having trouble with walking tends to be seen only in people with later Alzheimers. So if your loved one has dementia and has a problem with walking at an early stage, that shows another type, such as vascular dementia, and DLB or Lewy Body dementia. 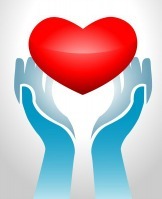 Improving blood flow with Heart and BRAIN supplements can help clear vascular dementia. Restricted blood circulation to the brain. Vascular dementia occurs when low circulation or blood flow to the brain starves brain cells of both needed oxygen and nutrition to function properly. Vascular dementia is caused by heart disease, and the narrowing and hardening of the small blood vessels. This narrowing and hardening of the blood vessels can be caused by a stroke, diabetes, hypertension, or high blood pressure, and the build-up of calcium deposits. Fortunately, brain short term memory problems or memory loss is not inevitable! 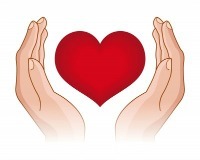 Circulation can be improved and so can memory loss be slowed or stopped. Vascular dementia symptoms such as memory loss can occur suddenly following a stroke. When changes in thinking and reasoning seem clearly linked to a stroke, this condition is sometimes called "post-stroke dementia." Vascular dementia symptoms can start after a series of strokes or mini strokes. You might suddenly notice changes in thought processes -- a sudden decrease -- unlike the more gradual, steady decline of people with Alzheimer's disease. But vascular dementia can also develop very gradually, just like Alzheimer's disease. What's more, vascular dementia and Alzheimer's often occur together. Studies show that people with dementia symptoms usually have brain changes typical of more than one type. Some doctors call this condition "mixed dementia." 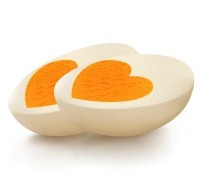 Can Eggs & Liver Stop Dementia Early Signs? Yes, here's why eating eggs, liver, legumes, kidney beans and saltwater fish protects against dementia early signs. These foods are rich in choline, a nutrient that can protect your brain from the causes of dementia. Dr. Rhoda Au, a researcher at Boston University, found that people who ate these foods rich in choline -- a member of the vitamin B family -- did significantly better on memory tests. These researchers studied 400 adults for ten years, and found that people with the highest dietary intake of choline had fewer changes in their brain as well as fewer symptoms of dementia. While eating eggs, liver and legumes may not be a "quick fix", the researchers say that your diet over a lifetime could protect your brain as you age. People with the least choline in their diet certainly had more symptoms of dementia, and did not do well on memory tests by comparison! MRIs have also revealed that brains fed plenty of choline have less of the white matter damage linked to dementia -- Alzheimers and stroke symptoms. Lewy Body Disease causes memory loss due to deposits called Lewy bodies in nerve cells in the brain stem. This causes problems with both behaviour, memory loss and thinking abilities. Scientists are not sure if Lewy Body dementia (DLB) is distinct from Parkinsons Disease, or a form or Alheimers Disease, or a totally separate individual condition. To improve memory loss, consider that these are all interlinked, and address the underlying causes of these diseases. There are no clinical markers for these neurodegenerative diseases, so that a diagnosis is made by your doctor from evaluations. According to some studies, people with lewy body dementia have the same cognitive problems of Azheimers Disease, but they are worse in paying attention and visual and spacial assessments. But people with Lewy Body Dementia have higher scores than Alzheimers Disease patients on memory tests. A person with Lewy Body dementia will usually have some of the symptoms of Alzheimers Disease and of Parkinsons Disease. They will likely have problems with attention and alertness, be disoriented at times and have problems with planning keeping their thoughts straight. Although memory is a problem, it would be not as much as for someone with Alzheimer's disease. Fortunately not everyone with Parkinson's disease will get dementia. Later stage Parkinsons symptoms of dementia and shaking are largely due to the toxic side effects of the Parkinsons drugs, and this can be prevented! End stage Parkinsons Disease can include dementia, but memory loss is not inevitable with Parkinsons Disease. There are proven brain health supplements for better blood flow to the brain, to dissolve small blood clots, and improve brain function. Act on Dementia Early Signs to Improve Memory Loss Now! If you suspect brain short term memory problems, you can act now to improve memory! Better than a brain memory test, you can have your doctor do this simple Alzheimers Test and take action to improve memory loss with simple brain health supplements. We trust that knowledge about dementia early signs and causes can help you find the right help for you or your loved ones. Even if dementia early signs are short term memory problems -- no matter if these are alzheimers symptoms, stroke symptoms or symptoms of vascular dementia -- even with Lewy Body Dementia or Parkinsons Disease -- people can still be helped! No need for a brain memory test. Instead, take action now, and add brain health supplements, exercise and nutrition! Nutritional supplements can help to improve memory loss, and increase quality of life for the caregiver as well as for the person with memory loss. What's best for Brain Health?